Everyday this week is mooseday! 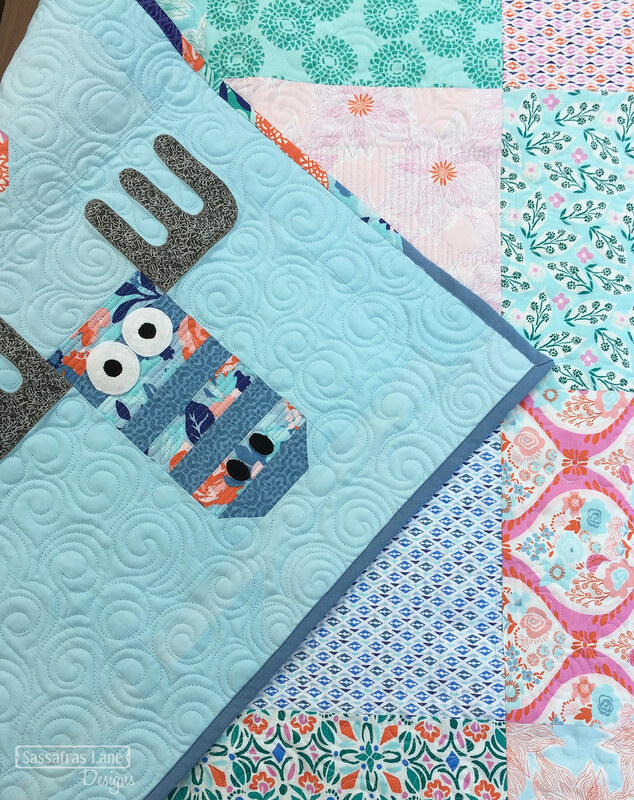 Next up on our parade of Wild Moose Chase quilts is a sweet wall-hanging we made with a layer cake Kate Spain’s Voyage fabric line. 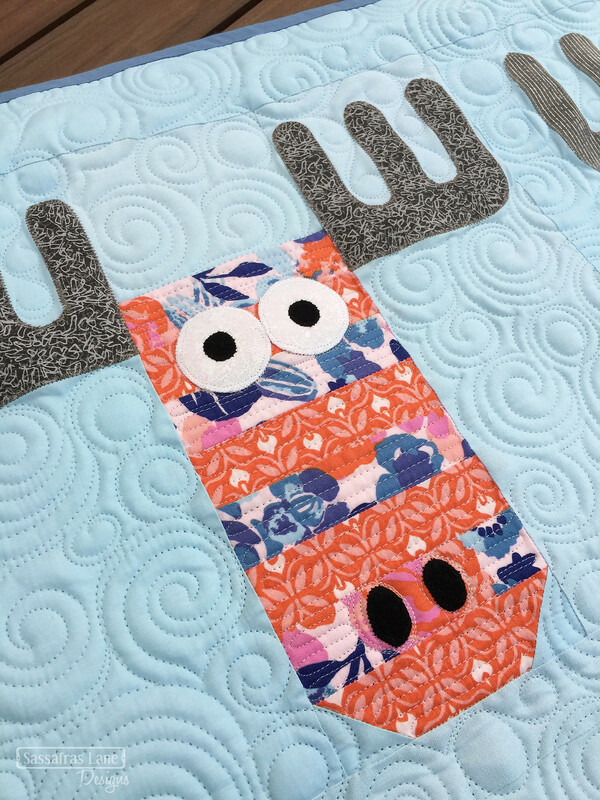 Who would have thought - florals in a moose face… We decided it is kind of odd but a whole lot of cute! 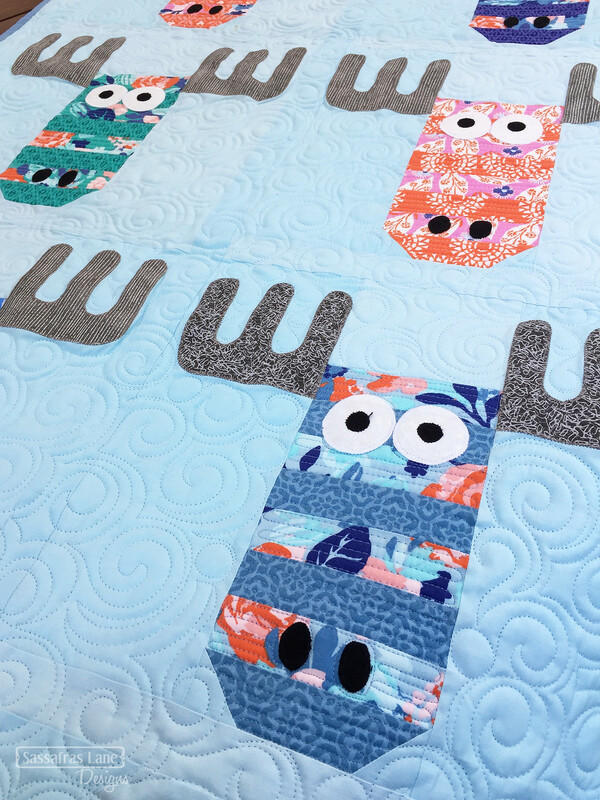 We paired two prints - one large floral and one smaller tone-on-tone print - for the moose faces, used warm light grey for the antlers and a light aqua for the background. I love how all these fabrics play together! We also did a slightly different layout than offered in the pattern - 3 rows of 2 blocks. It is a great wall-hanging size. Kristy quilted this wall-hanging with a matching thread in an overall swirl in the background and serpentine lines on the moose faces. We pieced together the extra 10” squares from the layer cake together to create the backing. 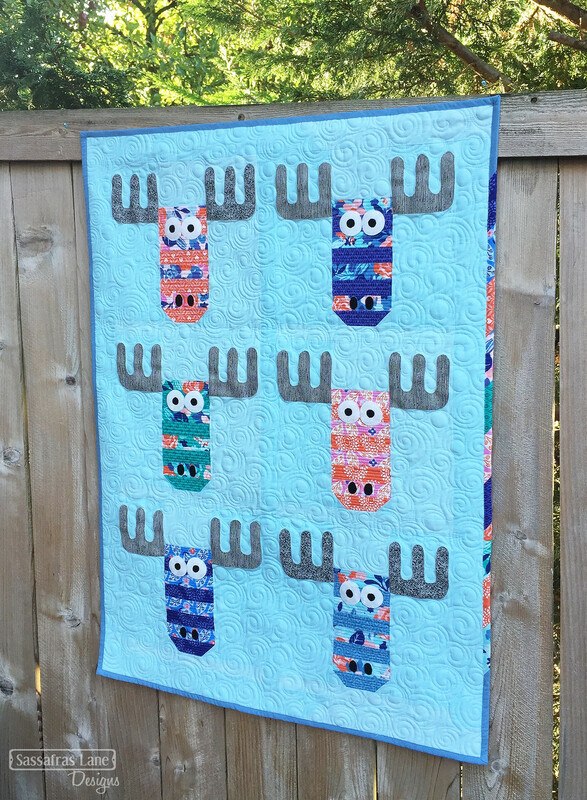 It was a fun way to use up some extra pieces and bring some whimsy to the back of the quilt. To finish it all up we bound the quilt in a periwinkle solid fabric with small scraps of the fabrics found in the quilt. 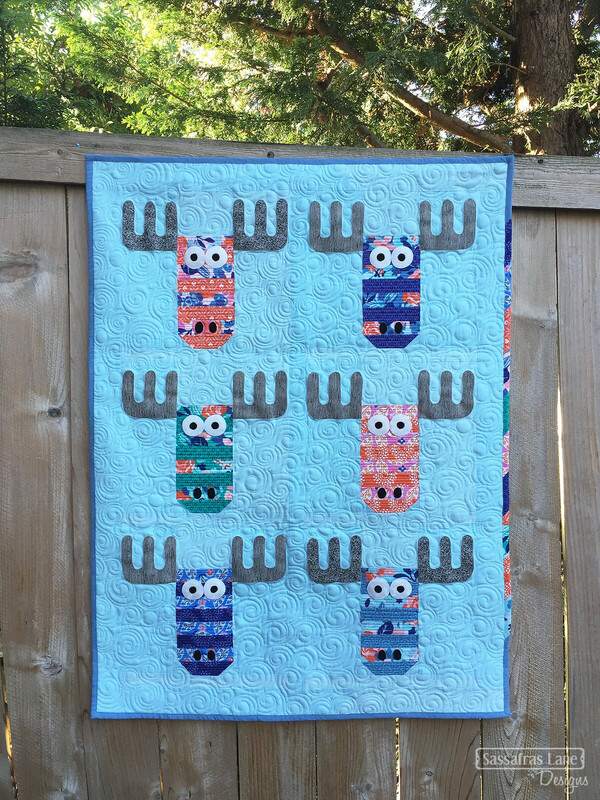 Finished Size: Tall 29" x 40"
Well, I moose dash! 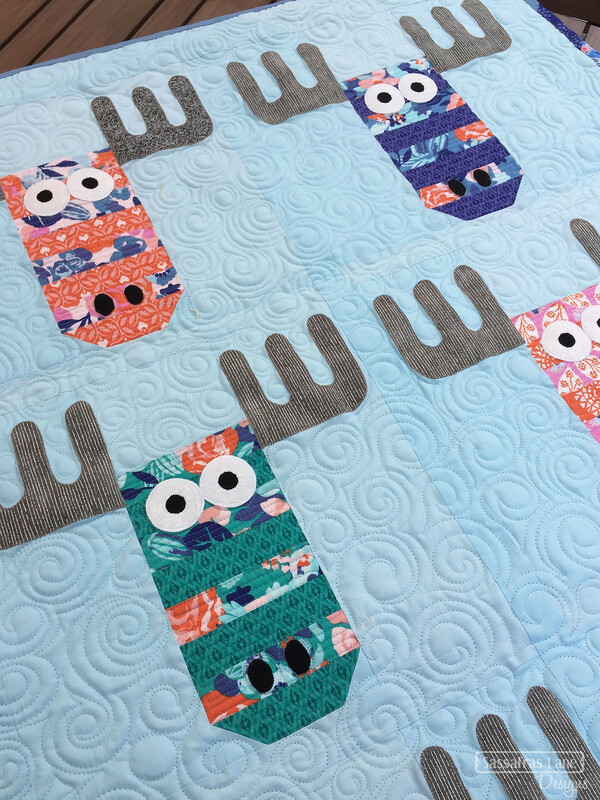 But, we will be back tomorrow with another Wild Moose Chase quilt version.